In 2018 my dad was diagnosed with early-onset Alzheimer's. His dad suffered from Alzheimer's as well. 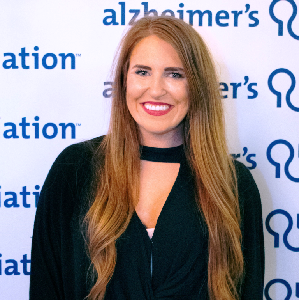 When the opportunity came up to be involved in Dancing Stars of Coastal Georgia and the Alzheimer's Association I jumped because this disease is close to home. My mom, Sandy, died of breast cancer when I was a baby so my dad is my only parent left and has given his whole life to help raise money. Now I hope to make him proud by competing in this competition and I also pray to be able to pull my part of raising money to help this cause. Someday I pray that there can be someone who can say they beat Alzheimer's. I am no professional dancer but am loving every minute of the process and am so excited to be involved in such a great cause! When not working on this I can be found hanging out with my husband or working at my small business - Ivory & Beau - a wedding planning, floral design and bridal shop! Thank you for any donation, none is too big or small!